"Craig Taylor is the real deal: a peerless journalist and a beautiful craftsman." 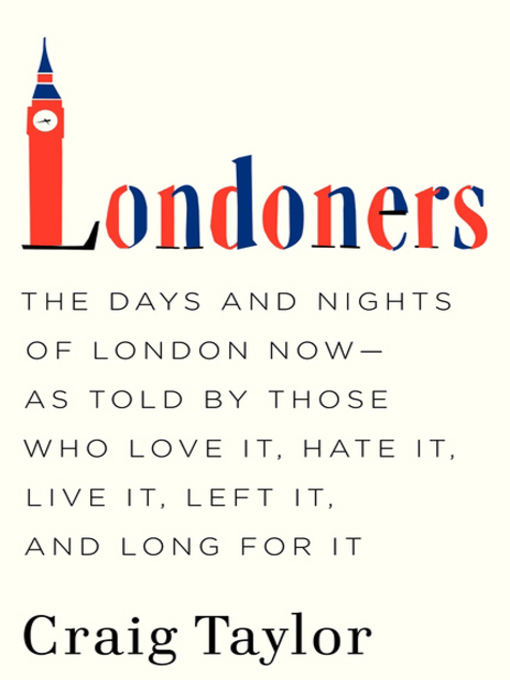 "Londoners is a wonderful book—I wanted it to be twice as long." In Londoners, acclaimed journalist Craig Taylor paints readers an epic portrait of today's London that is as rich and lively as the city itself. In the style of Studs Terkel (Working, Hard Times, The Good War) and Dave Isay (Listening Is an Act of Love), Londoners offers up the stories, the gripes, the memories, and the dreams of those in the great and vibrant British metropolis who "love it, hate it, live it, left it, and long for it," from a West End rickshaw driver to a Soldier of the Guard at Buckingham Palace to a recovering heroin addict seeing Big Ben for the very first time. Published just in time for the 2012 London Olympic Games, Londoners is a glorious literary celebration of one of the world's truly great cities.